Dr David Cook is a lecturer and researcher in the School of Science at Edith Cowan University. He is a Fellow of the Australian Computer Society and a Researcher in the Security Research Institute (ECUSRI). Dr Cook lectures in Professionalism in ICT and has a range of professionalism and governance-related research themes. He is a Past Chairman of the Australian Computer Society in WA and currently serves as the Chairman of the National ACS Fellows Committee. Dr Cook is the Chairman of the Education and Training Advisory Board for NIT Australia, and is a Senior Director of the Indonesia Institute. 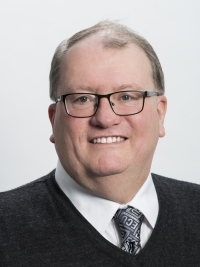 He is a member of the Higher Education Industry Advisory Committee, (South Metropolitan TAFE) and the AASQA Autism Academy for Software Quality Assurance. David has been invited to consult the Western Australian Government on issues regarding Cultural and Linguistic Diversity using technology, as well as Cyber Safety for older people in Aged Care. David is particularly interested in the intersection between Security and Accessibility, and current research themes include Gerontechnology, Cyber Security for older adults, Online Banking Access, Technology Rejection, and Digital Legacy and Inclusion. He has been a past Editor of the Journal of Information Warfare for 4 years. Dr Cook has won National awards for his Seniors Identity Training as well as the Cyber Me awareness program for Primary Aged children. In 2011 he was the Education Across the Nation Keynote speaker for the Australian Computer Society for 6 months, and before that was the Manager of the SECAU Security Research Centre. He is a past winner of the Berndt Memorial Prize in Anthropology. David has also been actively involved in the research of social media harm and benefit studies, examining the issues of deception and social network manipulation in relation to e-Government and e-Voting systems. David completed his PhD in Science in Australia and holds a Masters of Business Administration, an Honours Degree in E-Governance, as well as Bachelor’s Degrees in Asian Studies (Linguistics) and in Security Studies. Dr Cook leads multiple project groups specialising in Technology Distribution for older people through the use of Virtual Reality Training, Authenticity Studies, Cyber Security training, and Dexterity studies. David is actively involved in a number of engagement and outreach programs. He has coordinated training and coding for students in Primary and Secondary education. He is passionate about assisting people to thrive in environments that support Information Technology and Computer Science. He is strongly committed to themes on Diversity, Accessibility, and Professionalism within the ICT Industry.